Flicker Alley is proud to present the following essay by EverythingNoir.com, written for Detectives and Dames: A Flicker Alley Noir Blog-a-Thon! Ann Sheridan stars in Woman on the Run (1950) and Lizabeth Scott stars in Too Late for Tears (1949). Both films are available on Blu-ray/DVD May 10! Pre-order today! Note: This essay contains spoilers for Too Late for Tears. I would like to look at the two main stars and the characters that they play in these two films. It is interesting we have females as the main protagonists in both of these films, something we didn’t see very much in 1949 and 1950. This may be the only thing these two films have in common; the two females are very different from one another. The two leads are played by Ann Sheridan in Woman on the Run and Lizabeth Scott in Too Late for Tears. 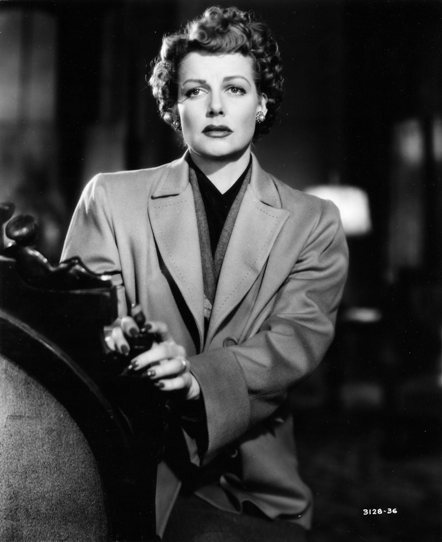 Ann Sheridan in Woman on the Run. 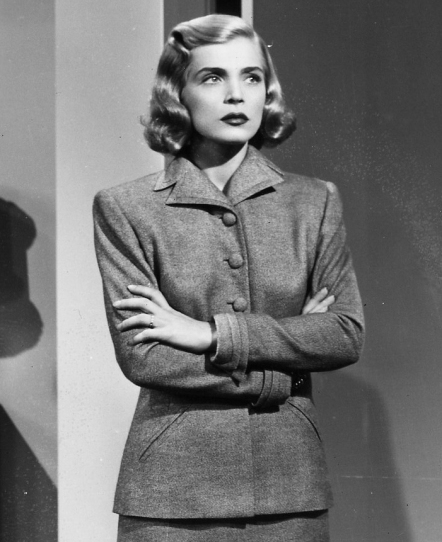 Lizabeth Scott in Too Late for Tears. Our two leads have very little in common other than they are both married at the beginning of our films. Liz is happy in her marriage and Ann is not sure after four years of marriage if she is happy or not. 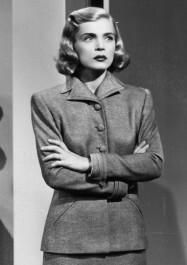 Ann wears heavy coats in most of her film partly to show her acting chops instead of relying on her figure. Liz’s character uses her womanly charms to get what she wants from the men in her life, a classic femme fatale. Ann goes on a journey that seems to save her marriage; Liz has no problem getting rid of her husband for the chance at a bag full of money. Ann fights to find the truth while Liz does whatever it takes to cover up her trail. As Ann’s and Liz’s characters in these two films seem like polar opposites their careers seem to be just as different. I was not that familiar with Ann’s career but after watching Woman on the Run I became a fan and have watched many films with her in it over the last year. She may have been known for her figure and got her start in film by winning a beauty contest, but she used that to have a very diverse career, holding her own with the top male stars from the 1930s through the 1950s. She was in many great films noir, but also held her own in everything from slapstick comedies to serious dramas. Liz on the other hand became a star after appearing in the classic film noir The Strange Love of Martha Ivers, and seemed to be typecast. She appeared in mostly gritty films, often as the femme fatale, with a sultry voice that gave Lauren Bacall a run for her money and a face that could cause any man to bend to her whim. Though Liz and Ann were very different in career and character, they did have a few things in common. Both played strong females often and both had the talent to carry a film. If you are not familiar with either of these great actresses, these two films are a great place to start. If you are a fan, and have not seen these yet, go do it! I thank everybody involved in restoring these two films and can’t wait to see what films they will restore next! Remember to pre-order Too Late for Tears and Woman on the Run and save 25% off MSRP while the sale lasts! For more exclusive essays, film preservation news, and special discounts, sign up for the Flicker Alley Newsletter.